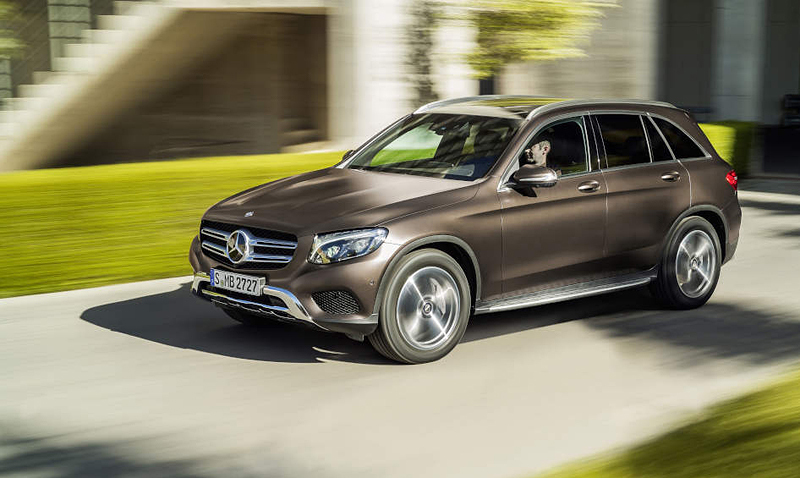 Stuttgart, Jun 18, 2015 // The All-new GLC (replacing the GLK) is significantly more attractive, with enhanced engineering and improved equipment. Customers can order the versatile SUV from 44,506 euros, which is the same model price as the predecessor. Market launch in Europe will start in September. 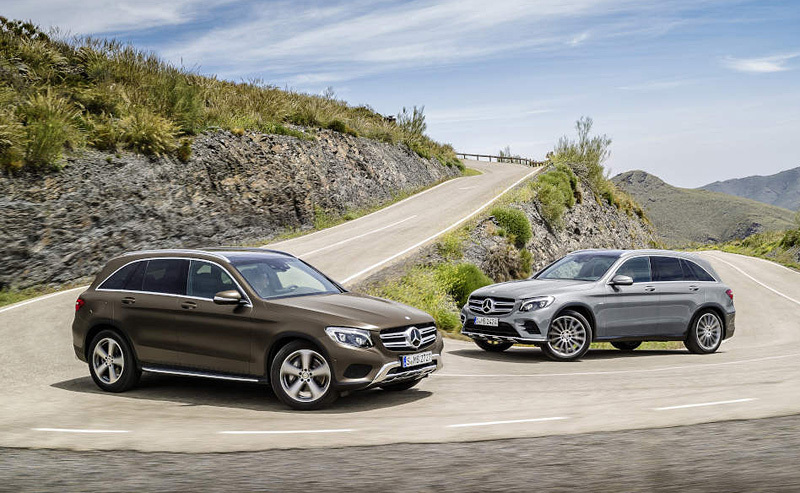 After the GLE and GLE Coupé, the GLC is the third SUV model series to be presented by Mercedes-Benz this year. The mid-size SUV impresses with the brand’s characteristic safety, state-of-the-art assistance systems and superb energy efficiency. And an unprecedentedly diverse range of equipment enables GLC customers to configure their SUV according to their own requirements and preferences. Fuel consumption has been cut by up to 19 percent in comparison to the previous model. 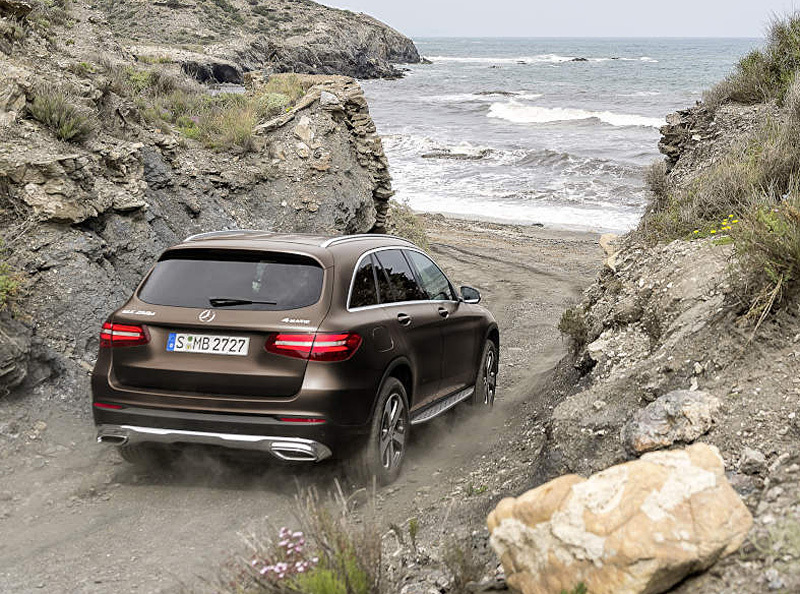 With the exterior design and equipment lines AMG Line, EXCLUSIVE and OFF-ROAD Exterior, the customers can place a particularly sporty, exclusive or cross-country emphasis on their GLC. Customers can also choose from attractive equipment packages such as the familiar Night package, 12 different paint finishes and 15 different wheels up to 20 inches. Customers also have plenty of scope for individualising the interior of their vehicles. The offering here ranges from the interior design and equipment lines – AMG Line and EXCLUSIVE, through seat covers and door trim in fabric, ARTICO man-made leather, DINAMICA microfibre, leather or designo nappa leather in the colours black, silk beige, espresso brown, saddle brown or platinum white pearl (designo only) through to the trim in aluminium, carbon fibre or fine wood. In keeping with tradition, there is an Edition1 version available at market launch, and this can be combined with all engines. The package price is 8,211 euros. This particularly exclusive and valuable model offers features including the AMG Exterior Line with AMG bumpers at the front and rear, 50.8 cm (20-inch) multi-spoke wheels, dark tinted glass all round from the B-pillar and “Edition 1” badges on the front wings. In the interior there are either the high-quality designo nappa leather appointments in fine black or two-tone platinum white pearl/black, with diamond-pattern quilting in each case. The standard equipment already includes numerous details adopted from higher vehicle categories. Pioneering assistance systems such as COLLISION PREVENTION ASSIST PLUS, Crosswind Assist, Headlamp Assist, ATTENTION ASSIST or an ESP® system with Dynamic Cornering Assist and the permanent all-wheel drive system 4MATIC all feature as standard, for example. Even more stress relief for the driver and safety for all the occupants comes courtesy of the optional latest-generation Driving Assistance package. Available on request and exclusively in this segment are the multi-chamber air suspension AIR BODY CONTROL, the extended driving dynamics program DYNAMIC SELECT and the Off-Road Engineering package with up to five specific off-road programs. They enhance both ride comfort and sporty agility – on any terrain. A key focus of the totally new interior design is the dashboard and the centre console with its flowing lines, with a large, one-piece console panel performing an elegant sweep from the centre air vents to the armrest. These clear-cut lines create a feeling of open space and establish a purist, modern vibe. The newly developed innovative touchpad in the handrest over the rotary pushbutton nestles ergonomically in the centre console. As on a smartphone, this provides for very simple and intuitive operation of all the head-unit functions using finger gestures. The touchpad also permits letters, numbers and special characters to be entered in handwriting – in any language supported by Audio 20 or COMAND Online. A centrally positioned media display is partially integrated above the centre console. Five round air outlets with metallic “cool touch” effect lend the dashboard a sporty air and create an interesting contrast to the warm look of the other materials. In comparison to its predecessor, the new model is substantially more spacious for front and rear occupants alike. The increase in the GLC’s length in comparison to the previous model has been translated effectively into useful interior space. Almost all key comfort factors have been improved – substantially in some instances – above all the space on the rear bench. Another comfort criterion – entry and exit space for the rear passengers – has also been enhanced substantially, with 34 millimetres more foot space now available for the purposes of entering and exiting the vehicle. Through the effective use of space and intelligent packaging, the engineers have also managed to increase the size of the luggage compartment with level a load area and its attendant utility value substantially. The rear bench features a 40/20/40 split and offers a cargo position which increases the load capacity by locking the backrests at a steeper angle.